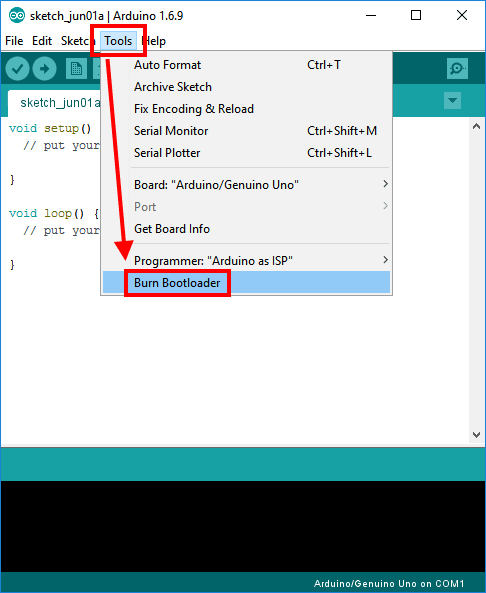 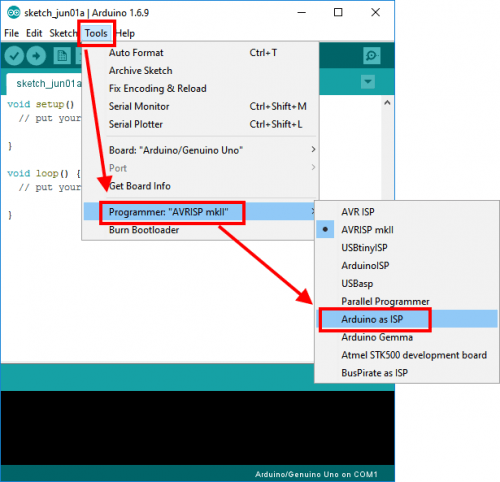 Arduino: 1.6.9 (Windows 10), Board: "Arduino/Genuino Uno"
If you get above error message while trying to burn new bootloader to your Arduino board in Arduino Studio follow those steps to resolve it. Make sure that Programmer option is set to Arduino as ISP NOT as ArduinoISP. Also verify if the port is correct.